Mensusa https://www.mensusa.com/articles/mens-wool-pants-are-really-versatile.html Mens Wool Pants Are Really Versatile When winter sets in, everyone tries to keep themselves warm by wearing warm woolen clothes. At MensUSA you will find the largest variety of pants especially created to fight the cold. Often woolen materials are used for them. However, mens wool pants and the mens wool dress slacks protect you most. It is not only to stay warm in the winter season that you need warm and stylish pants. But you must look smart in them also. Hence mens wool pants are the favorites of most sophisticated men. They are well-structured by renowned designers and the woolen fabrics that are used to stitch these bespoke pants are indeed of the highest quality. They are soft, warm and decent in appearance. However, if you wish to look trendy, you can go for the colorful pants also that have a special look and are good for social gatherings and parties especially during the winter season. 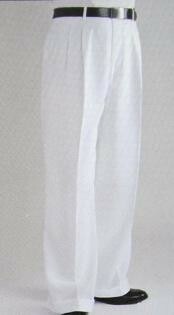 You naturally cannot wear the same woolen pants to office and also to weddings and parties. 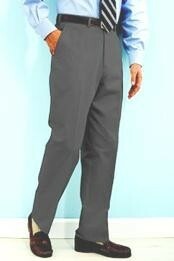 You need to store some of the unique designer men's wool dress pants for special occasions in the winter season. These are exclusively designed and are available in a variety of designs, cuts and fits so that you look stylish and at the same time stay warm and cozy even if you have to stay outdoors for long. 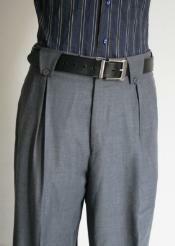 These slacks help to stay warmer than other trousers as the slacks hug the body enabling the body to retain heat. Moreover, wearing slacks is the fashion of the day and so when you match your dress shirts, ties and jackets with the appropriate mens dress wool slacks you are sure to establish your own style statement. The versatility of the dress slacks is that they are less formal and can be easily paired with any other outfits to look cool and if you wear the mens wool dress slacks you can enjoy warmth and comfort wherever you go for long hours. MensUSA presents a variety of such pants to stay warm in winter and choosing the appropriate colors and fits rests on your preference. Woolen garments are available in a variety of designs and finishes so that you look good and stay comfortable also. You will get every ensemble of your suit separately so that you can even mix and match them to get a new look every time. The mens wool dress pants pleated is a must-have woolen outfit that every man should keep ready at hand especially during the winter season. You will get various shades and fits at MensUSA that enables you to select the perfect fitted pants to match with your woolen dress shirts or jackets and vests. In winter, you must wear warm clothes throughout the day. So these mens wool dress pants pleated will be the special attire that will give you a more sophisticated look on special occasions. What makes this variety of pants for winter more popular is the light-weight woolen fabrics used to create these trousers. MensUSA is the ideal store where you will get a variety of pants for winter. So get ready to stay warm and cozy and at the same time look smart and dashing throughout winter and for all occasions by selecting the perfect wool pants or dress slacks before it is too cold.